Market analysts are pretty optimistic about the direction the Philippine stock market is going this year. The implementation of the Tax Reform for Acceleration and Inclusion (TRAIN) law at the start of the year plus the thrust of the government for infrastructure spending through the Build, Build, Build program are two of the key factors for this optimism. Luis Limlingan, managing director of securities brokerage firm Regina Capital Development Corporation (RCDC), shares the same sentiment. Limlingan manages the firm’s research and online trading divisions and has extensive experience in the industry. 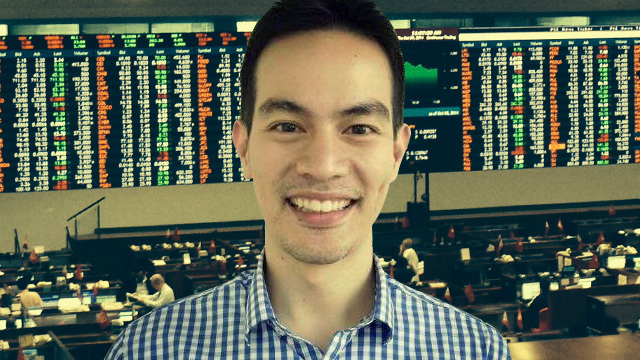 Before RCDC, he worked as a fund manager for ATR KimEng Asset Management. He also has an MBA from the London Business School. For 2018, these are the three sectors Limlingan sees most likely to benefit from the economic policies of the government. “Obviously, consumer stocks will (be) impacted because of all of the tax savings we're going to see trickling down. So a lot of the Filipinos will probably use their additional income to buy all these goods and added necessities,” Limlingan said. Among the listed firms he expects to have an added boost in revenue are Gaisano family-owned Metro Retail Stores Group, Inc. (MRSGI) and Forbes rich listers Lucio L. Co and Susan P. Co’s Puregold Price Club, Inc. (PGOLD). He also mentioned Tony Tan Caktiong’s Jollibee Foods Corporation (JFC) to be impacted, although not a lot, by the TRAIN package. “I don't think people are going to consume more but maybe every once in a while (when) they have some money left over they're going to go to these restaurants. So you're going to see that being felt as well,” he said. Though vacancy rates in the property sector have been rising, Limlingan still sees opportunities in the property sector this year. “(T)he residential market has seen a bit of uptick in vacancy but the property companies are very quick to act on this. They're also scaling down their projects just to keep the prices quite competitive,” he said. For the property sector, Limlingan has three companies he calls his “big bets.” These are the Henry Sy’s SM Prime Holdings, Inc. (SMPH), Ayala Land, Inc. (ALI) and Andrew Tan’s Megaworld Corporation (MEG). “We like Ayala Land because they have the full spectrum of the residential from the high-end to the low-end. We like Megaworld for the office, for its dedication to the office space,” he explained. Meanwhile, Limlingan is betting on SM Prime mainly because of the reclamation area the company holds. “We think there's going to be a huge revaluation on that,” he said. To play it safe, Limlingan suggests to look at companies that have development projects in the private sector first, even with the government’s ambitious Build, Build, Build program. “You don't know when they're going to win it, when they're going to start with them. I think it will be an added boost if they can get the government items, but again, it's really a timing issue,” he explained. Lastly, Limlingan recommends the banking sector. He argues that if the consumers aren’t spending then they’re probably saving their money in the banks. Among the banks he mentioned are Ayala-owned Bank of the Philippine Islands (BPI), Arthur Ty’s Metropolitan Bank & Trust Company (MBT) and Sy’s BDO Unibank Inc. (BDO). As an added insight, Limlingan mentioned the influx of Philippine Offshore Gaming Operators (POGO) coming in the country, which is helping to boost the property sector. POGO, which some consider to be a subsector of the business process outsourcing (BPO) industry, refer to international online gaming firms that set up shop in the Philippines where they run key aspects of their operations. Though known to employ a lot of foreigners, mainly Chinese, because most of the offshore clients are in China, POGO still drive up the demand for office space in the Philippines. As well, the growing gaming and entertainment landscape in the Philippines is ripe with opportunities. “People might find their way into the casinos, the new complexes are going to be developed, so maybe that might be something you can speculate on if you don't want to play it safe with the other three (retail, banking and property) that I mentioned,” Limlingan said.